This is a hand painted low poly model. This model is great for games, in fact it is game ready, ideal for mobile games or cartoon games. The texture is completly hand painted, with a good quality. The model have 2 different color texture 512& 215;512 jpg, one texture is dark and the other texture is brighter. The model was created in 3ds max 2010. 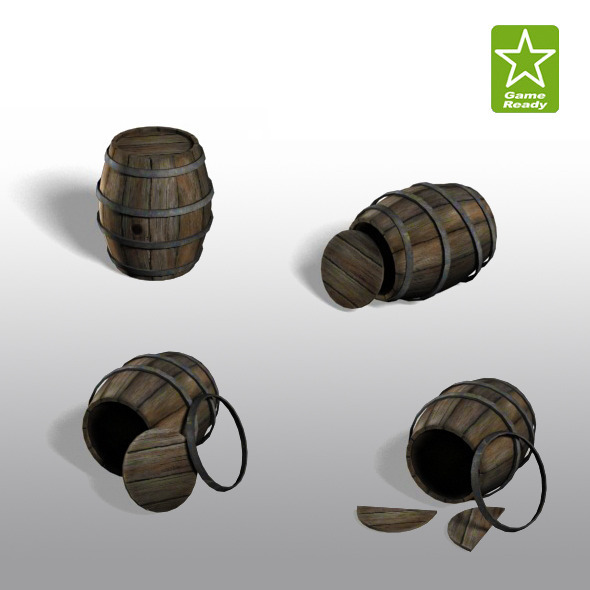 In the archive you will find 4 file formats: .max .3ds .fbx .obj. The model is game ready, you have just to put it into your game and enjoy it! 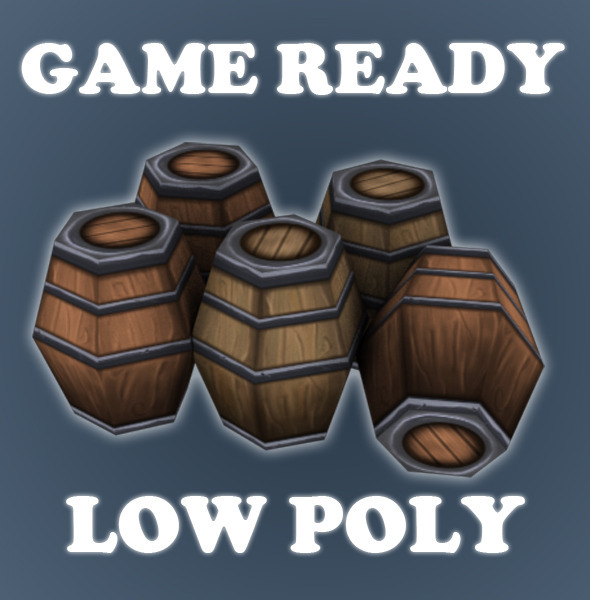 Visit my profile for more gameready stuff. This a nice logo template in vector formats eps and ai simple and very easy to edit everything, font used & 8220;Trajan Pro& 8221; Simple shapes, and very easy to edit. Adobe Illustrator documents CS5 , EPS 10 CMYK and PSD Photoshop Please rate this item and/or leave feedback. If you have any questions, email me at ekarato yahoo.com or ask in the comments. Thank you! 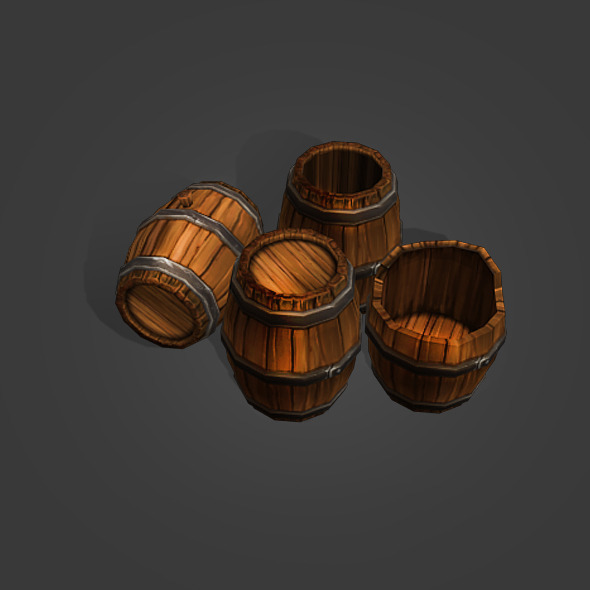 Wood barrels with diffuse and bump map included. As being low poly it& 8217;s suited for any type of games or renders. This models comes with one low version with a Polygon Count of aprox. 300 and another with a Polygon Count of aprox 1200. PSD file also Included.